If you have a website, blog, forum, or social network, we can offer you an opportunity to earn money by selling any of our products to your followers. If you have an agency or company, on becoming an affiliate, we will be your provider of tickets, tours, excursions, etc. 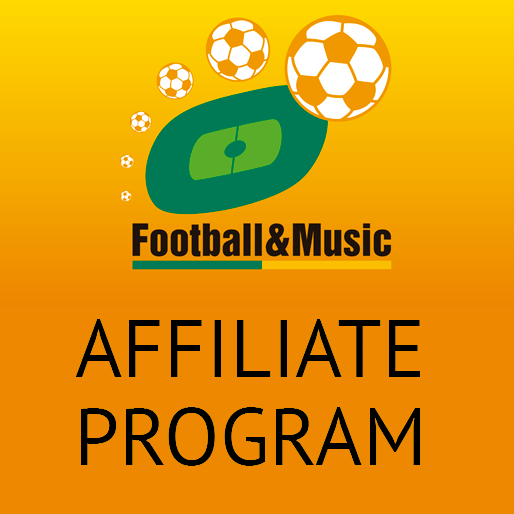 The Football and Music affiliate programme is totally free and very simple to use. We can also offer you some interesting benefits to enjoy working with us. What types of affiliate programmes are there? Our affiliates programme for agencies or companies will convert us into your provider of tickets, tours, excursions, etc. You will receive special prices and offers for our products. You decide your own fees. If you work with us on a regular basis, we can provide credit purchase options. You receive detailed and updated information on all our products. You receive personal support in x languages. You receive advertising material at all times. You can work in real time with instant sales information and order tracking. If you have a website, forum, blog or social network, we will provide the necessary tools for your followers to access our products from your page. You will earn money each time a visitor from your web buys something. Simple and profitable! Our team continues handling all the orders. You do not have to worry about anything. Your page domain appears when users view the available products. We shall provide you with a customised tool (private access) that enables reviewing the status of your real time sales: orders, dispatch status, fees, etc. You have various options to customise the white sale page. The logo, web colour, banners, widgets can all be personalised. If you would like more integration of your web page, we can offer you the option as affiliate in category XML. This option allows you to know the availability of all our web products so that you can decide which you want to sell. You can also create sub-affiliates and build up your own commercial network. You will receive personal support in x languages. What are the steps to join an affiliate programme? Click the “Affiliates” tab on our webpage and select “Register”. Fill out the online form with your details, indicating the type of affiliates programme best suited to your needs. Football and Music must approve each application individually. Once we have given the green light (we are very fast, so don't worry), you will receive an automatic confirmation email with the conditions of the affiliate programme selected, your login and affiliate password. Shortly afterwards, one of our customer service staff will contact you to welcome you on board and then you can start taking advantage of your affiliate plan as soon as possible. From then on, you can always count on us to resolve any queries that you may have. If you have a web type affiliation, you can access your private page and to start to customize your white sales page.